OverviewIf you're looking for a family vehicle that doesn't compromise on looks, the selection of Mazda SUVs in Florence, Kentucky has it all. 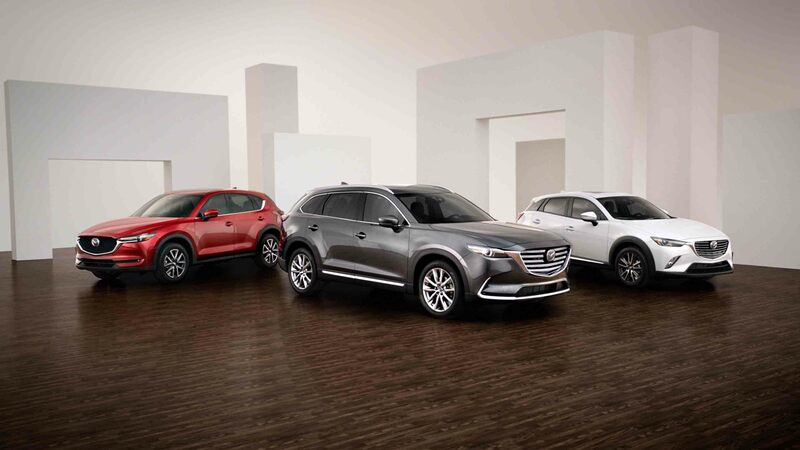 With athletic builds, modern safety features for your most precious cargo, and interior details from some of the finest materials, the Mazda CX-3, Mazda CX-5, and Mazda CX-9 SUVs are sure to please. Kerry Mazda of Florence offers a wide selection of new and used Mazda SUVs for you to choose from. Learn more about each model below, explore our inventory, then visit our Florence, KY Mazda dealership, just south of Cincinnati, OH. Lease a Mazda SUV at your local Florence, KY dealership. The Mazda CX-3 is a crossover SUV, the smallest SUV within the Mazda lineup. With an impressive fuel economy, a premier interior cabin, and sporty handling, the Mazda CX-3 has it all. Whether you're taking the kids to baseball practice or transporting large school projects, the Mazda CX-3 will offer safety, space, and fun behind the wheel, creating plenty of value for years to come. Take on the exciting backroads of Florence, KY with the Mazda CX-5. 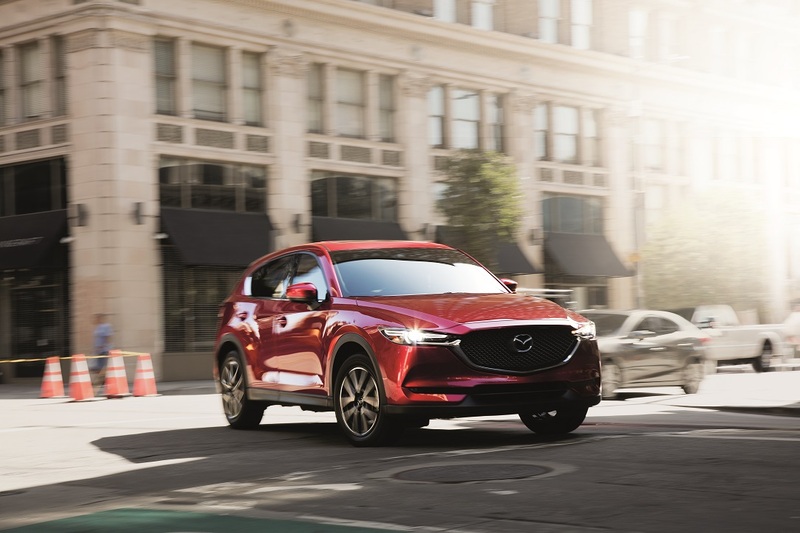 Not only does this Mazda SUV offer more interior space than the Mazda CX-3, but it boasts impressive handling to make every drive more enjoyable. Plus, the cabin offers upscale material and comfortable seats for those longer rides. 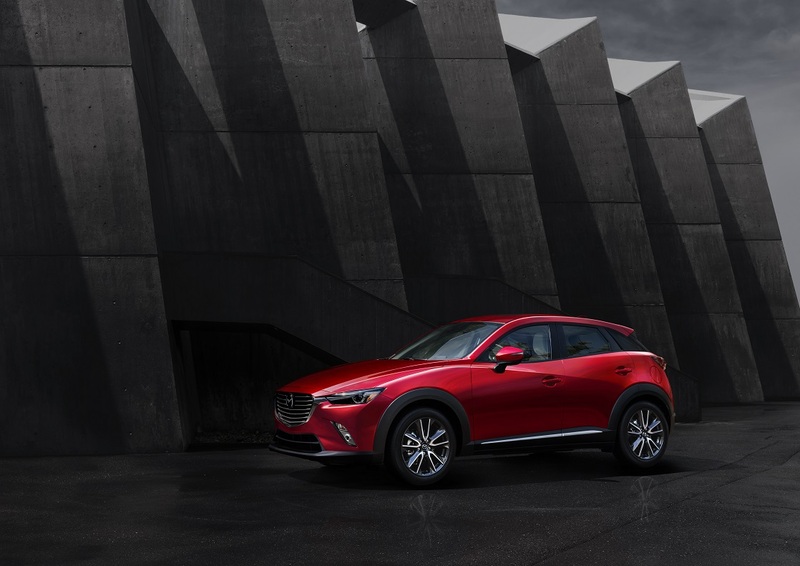 With a higher horsepower than the Mazda CX-3, the dynamic handling makes the Mazda CX-5 one of the most enjoyable SUVs to drive. 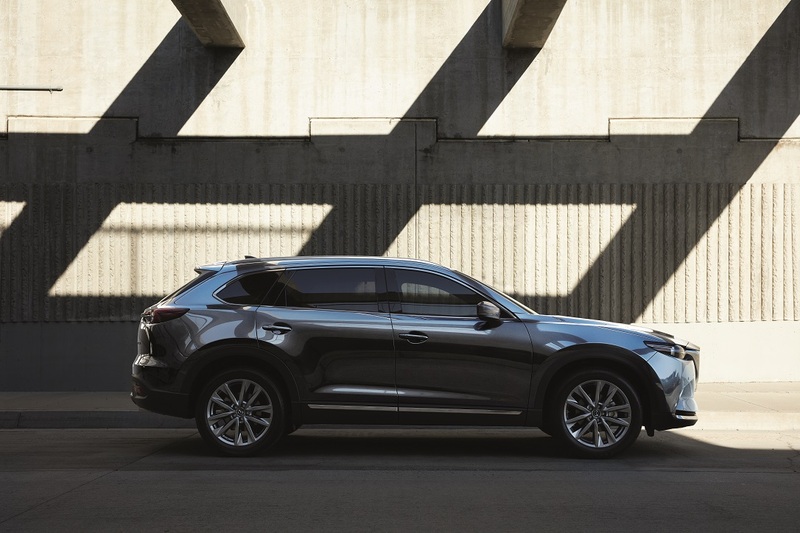 If you're looking for an attractive midsize SUV, the Mazda CX-9 offers comfort to you and your six passengers. The exterior design is clean, modern, and athletic, which is hard to find with larger SUVs. With impressive gas mileage and sporty handling, this Mazda SUV offers more than just style. Whether you're towing the boat or participating in the daily carpool, you'll get all your errands done behind the wheel of a Mazda CX-9. If you're looking for a smaller crossover, the Mazda CX-3 is bound to check off your boxes. The Mazda CX-5 offers more power and space, while the Mazda CX-9 is known for its third-row seating capacity. All Mazda SUVs feature strong aggressive headlights, a flat long hood, and a clean front grille. Don't settle for a minivan, explore the selection of athletic SUVs offered at Kerry Mazda of Florence, in Florence, KY. Make sure to schedule a test drive, then discuss your Mazda lease and finance options with our auto finance center. We look forward to getting you behind a car that matches your bold personality.